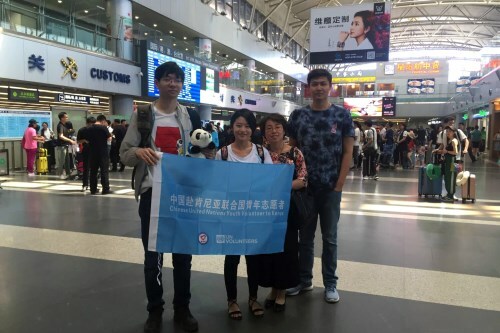 On 31st May 2018, UN youth volunteer Ms. Guo Lei flied to Nairobi Kenya for six months of volunteer service. 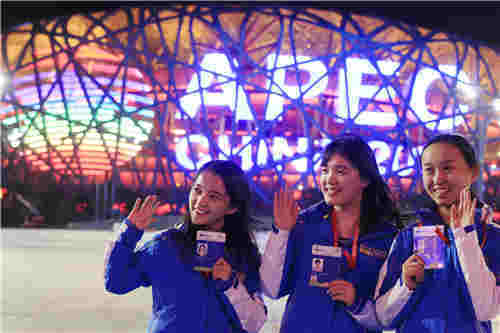 Officers of BVF International Division set her off at the airport in Beijing. Guo Lei will engage in youth and livelihood project during her volunteer assignment in UN-Habitat Kenya, conducting voluntary service and outreaching with local organizations. The UN youth volunteer deployment enables Beijing volunteer-involving organizations (VIOs) to learn best practice from volunteer mobilization and management of UN system. 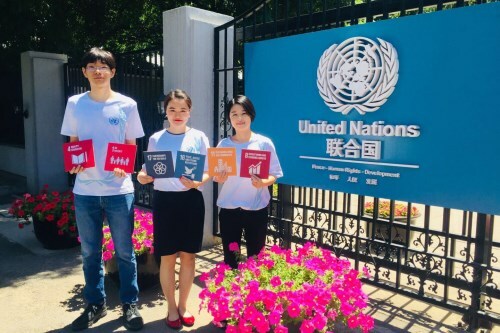 Guo is a successful candidate in the second group of Chinese UN youth volunteer project, which was launched since Dec 2017. After confirming duty country and assignments in Jan and initiating volunteer recruitment in Feb 2018, the Beijing Youth League and BVF received 13 qualified applications. Through a series of interviews conducted by BVF recruitment team and UN agencies, BVF shortlisted 3 candidates in May – Mr. Li Hanchi, Ms. Xue Qi and Ms. Guo Lei – who are subjected to deployed respectively to UNDP Thailand, UNV Cambodia and UN-Habitat Kenya to engage in local knowledge management, IT support and youth development for 6 months. As BYL and project management required, a few days ago the three candidates accepted 7 day pre-departure training and experienced 1 month internship at BVF office, with acquiring in-depth knowledge in state of volunteerism development, international assistance system, multicultural exchange, first aid and discipline for foreign affairs. Sending Chinese UN youth volunteers to UN agencies along the Belt and Road region is a part of collaborative project among UNV, CICETE, BYL and BVF. The deployment has also gained recognition from China NGO Network for International Exchanges and Office Foreign Affairs of Beijing Municipality. 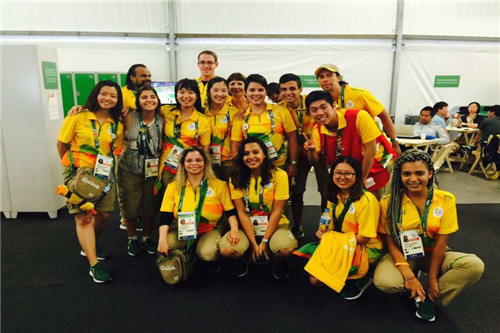 The project create a significant platform for Beijing youth to explore an innovative avenue to volunteer overseas, obviously promoting internationalization of Beijing volunteerism development. 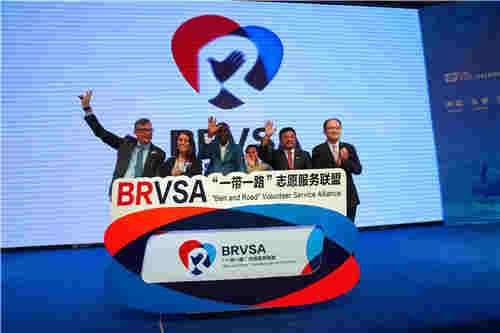 In the nearly future, BVF will keep on selecting volunteers to the BRI regions and contribute to build Beijing into an international exchange center of China.